Who is it for? 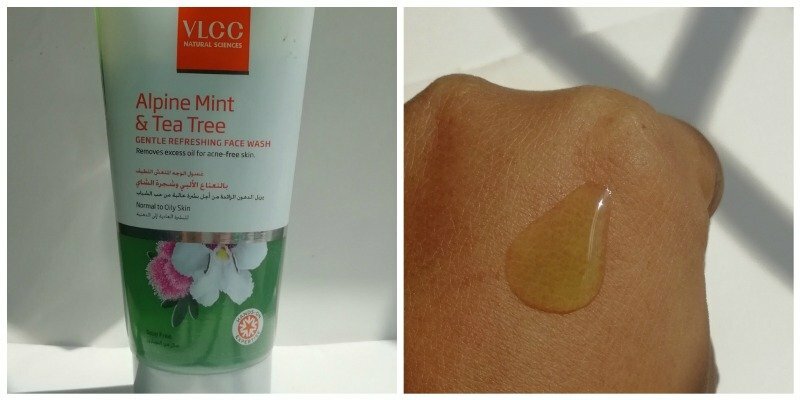 This VLCC Alpine Mint and Tea Tree Gentle Refreshing Face Wash is for those who have an oily pimple prone skin. Basic transparent tube packaging with a flip on the cap. This shuts tight and is travel-friendly. It comes in one size only so you can’t really try on a trial pack. It has a strong mint fragrance which feels utterly refreshing. Mint green gel textured facewash which deeply cleanses the entire gunk and removes makeup with a cooling sensation. Small quantity is good enough for cleaning entire face and produces just the right amount of lather. I have combination skin and this face wash works just fine for me. I use it once in 24 hrs. When I get back home after having a long day, I do need a strong cleanser which takes off all the goo off from my skin and deeply cleanses my pores and makes them tight. This product definitely walks its talk. It does help in reducing pimples to great extent. I don’t usually get a pimple but I do have large pores in my t zone and this does help in combating it. Yes to both. I will recommend this face wash for both oily and combination skin. Not recommended for dry skin. VLCC Anti Tan Skin Lightening Face Wash – Best Anti Tan Face Wash?